Hall of the Mountain King: Review: ZZ Top, "Texicali"
When we got our first taste of new ZZ Top music a few months back with “Flying High,” I was seriously disappointed. I didn’t like it. It wasn’t even close to what I was hoping for from the pairing of Top and Rick Rubin. Then came the Jeremiah Weed spot featuring “Gotsta Get Paid,” and my interest level immediately jumped back up. After watching the commercial a couple of times, I couldn’t get the “25 lighters on my dresser, yessir” refrain out of my head and searched in vain for a full version of the song to hear, right up until the four-song EP Texicali dropped. This is what I’m talking about. 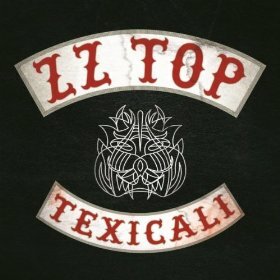 Texicali is a grungy, blues-drenched, rock ‘n’ roll, boogie-woogie treat for ZZ Top fans. No, it doesn’t, as many fans hoped, signal a complete return to the blues-rock ways of their 1970s records. These guys aren’t the kids in their ’20s and ’30s who made those records. (Did I just say “kids” in their 30s? Sheesh.) Some of the polish and electronic elements that have come and gone over the years creep in here and there, but they find themselves far overpowered by a dirty, blues-based rock sound that’s more along the lines of what long-time Top fans want. “Gotsta Get Paid” opens the EP with a rough and crackly guitar riff from Billy Gibbons. Adapted from a Houston hip-hop tune, the band puts its own spin on the tale of street hustling. Frank Beard’s beats are better than any drum machine and Dusty Hill gets some good bass runs in, as well as a few shots on the mic. It’s, by far, the catchiest song on the record with that aforementioned line worming its way into your head and sticking there. Second track “Consumption” sounds like a throwback to the days of Eliminator. There’s a little bit of that 1980s polish on it, but it’s firmly rooted in their blues-rock roots, and Gibbons gets his chance to bend the strings all over the place. The most noticeable nod to the past on this record, though, is my second favorite “Chartreuse,” which puts it right in your face. 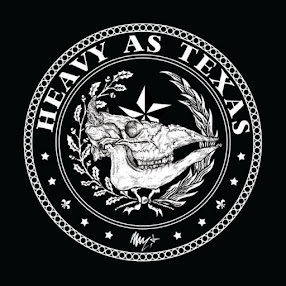 That opening riff is certainly a tip of the hat to the band’s classic hit “Tush,” and the song follows through on the promise it makes. It’s a catchy, strutting number that will satisfy fans looking for a little taste of the 1970s sound. “Chartreuse” plays it pretty safe and straightforward, but that’s one of the things I love about it. It’s short, sweet, simple, and it’s a great tune. Finally, they dip a little deeper into the blues with “Over You.” It’s my least favorite of the songs, but I readily admit that I’ve always been drawn to the band’s rowdier side. There are some 1960s R&B elements on the song, maybe a little country touch here and there, and it does give Gibbons a chance to stretch his vocal range a little bit as he packs an emotional punch into it. Despite it being my least favorite, it’s still a great song. I’ve got only one complaint with Texicali: There’s not enough of it. I need more than four songs. I wouldn’t call this a “comeback,” since I’m partial to some of their later output, particularly albums like Rhythmeen and Mescalero, but these songs are among their better work of the past 30 years. Stuck in my Head: Jorn, "Ride Like the Wind"
Stuck in my Head: Metallica, "Escape"
Review: Dee Snider, "Dee Does Broadway"